One day the wall was white with a bit of neighborhood graffiti. The next time I drove by the wall was filled with colorful and whimsical characters! 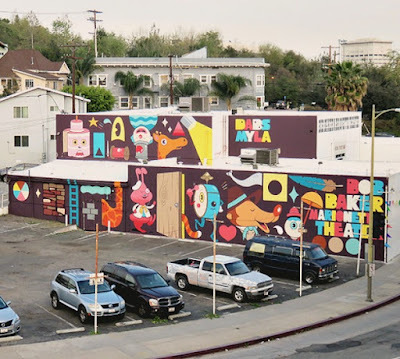 This is a mural by Dabs and Myla on the side of the Bob Baker Marionette Theater in Historic Fillipino Town, Los Angeles. This place is full of history! 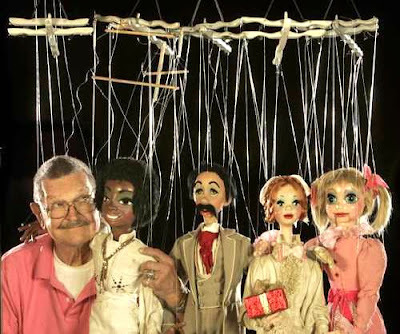 From Bob Baker's obituary in the L.A. Times, 2014: "Baker's theater, which occupies a former cinder block movie scenery shop west of downtown Los Angeles, is the oldest puppet theater in the United States. When it was opened in 1962 at the corner of 1st Street and Glendale Boulevard by Baker and business partner Alton Wood, it was an immediate hit with children and their parents." The L.A. City Council designated Baker's theater a historic-cultural landmark in 2009, but this has not saved it from threats of major change. A mixed-use building has been proposed for this site, supposedly retaining some elements of the old theater as part of the new building. You can read about the plans HERE. 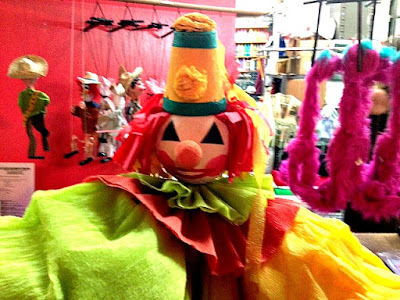 Sounds to me like the puppet theater and adjoining workshop and party room will be gone. Sigh. This is very sad for the children of Los Angeles, past and present. Enjoy the theater and the mural while they last! Check the theater website for show information. You do not have to be a child to have your birthday party here! Today, March 14, 2016 is the last day to submit a letter to preserve and celebrate this historic theater. Please click on this link and give a few words of support! Thank you.